Americans love traveling with their pets. Over 2 million dogs, cats, birds, and other live animals fly on airlines in the United States every year. Sadly, sometimes the worst can happen during these journeys. Pets might get injured, run or fly away, and even die. Most animals that are checked through as luggage—and likewise most deaths—involve dogs. Of the 274 pet fatalities reported by airlines since 2005, 214 of them, or 78 percent, were dogs. 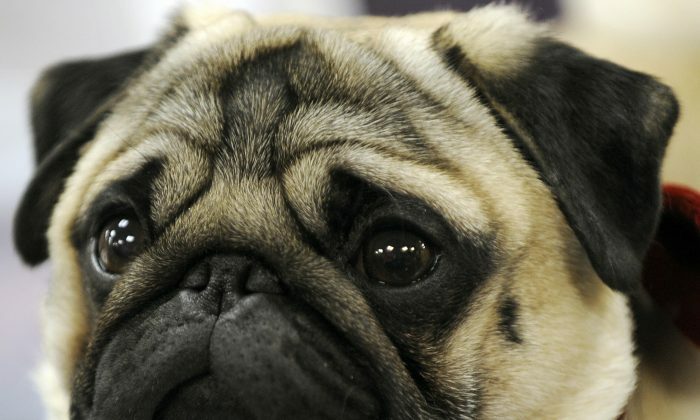 And among the dogs, the ones that suffered the most were flat-faced breeds like pugs and bulldogs. In the first five years that airlines were required to report animal incidents to the Department of Transportation, from 2005 to 2010, about half of all dog deaths, which totaled 122 at the time, were snub-nosed breeds. Since then, the numbers have gone down because some airlines, particularly Delta and American Airlines, have stopped accepting snub-nosed dogs and snub-nosed cats as cargo. United Airlines bans some breeds year round and others during the summer months. Dogs with flat noses—technically called brachycephalic—tend to experience more respiratory problems than other breeds, which the stress of flying can further exacerbate. Dogs with flat noses tend to experience more respiratory problems than other breeds, which the stress of flying can further exacerbate. The problem stems from that fact that although these animals have shorter snouts, all the same anatomical structures are still packed in. It gets even worse if the dog is overweight. It also makes them more susceptible to changes in air quality and temperature that can occur in a plane’s cargo compartment. Over the past 15 years, more pets died on Delta Airlines than any other carrier, representing 24 percent of all pet deaths from 2005 to 2015. Next were Continental, American, and United. The American Veterinarian Medical Association makes a number of recommendations for people who wish to fly with their pugs and bulldogs, including keeping the dog at a healthy weight and reducing stress by getting them used to their travel crate for several days before flying. Of course if your dog is small enough, and the airline allows it, probably a better bet is to bring your dog in a carrier that fits under the seat in front of you. Next time you fly, remember you can't bring a grenade replica, cell phone stun gun, or lipstick knife.